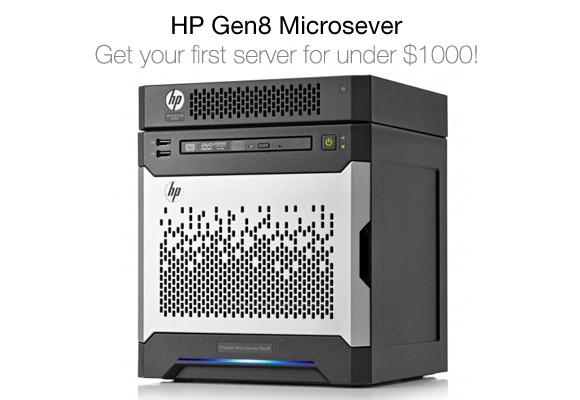 Buy your first server for under $1,000! 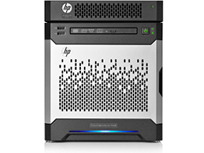 The HP ProLiant MicroServer Gen8 is ideal as a first server solution for small businesses, drive down expenses while improving productivity, efficiency, and security. This bundle is only $999 ex GST (RRP $1,539) while stocks last. What a deal! Consolidate your information to allow you to focus on your core business. With expandable storage up to 12TB, you'll always have plenty of space for your growing business. You shouldn't compete with your IT for noise, this system is so quiet you can have it anywhere in your office.